In this edition: Waiting on Huawei, Chinese investment in Canada slumps, and lessons from the Canada-Cuba relationship about how to respond amid U.S. pressure. The biggest story of the last two weeks is the continued high tensions between Canada and China, which stemmed from the detention in Vancouver of Huawei CFO Meng Wanzhou, upon extradition request by the United States. (For more details, check out these two China Briefs). In the last few weeks, little has changed: Meng is still under house arrest in Vancouver, awaiting the extradition trial; two Canadians who were arrested under dubious circumstances (and probably in retaliation), Michael Kovrig and Michael Spavor, remain in Chinese custody; the Canadian sentenced to death in China, Robert Schellenberg, has not had his sentence commuted; and rhetoric exchanged by the countries remains icy. • Even though there have been high levels of tension at the political level, Canadian products – like seafood and Canada Goose jackets – remain popular. • However, Chinese companies are currently less likely to buy Canadian assets, due to the political climate. • The Moody Credit Agency has warned that if China pulls its students out of Canadian post-secondary institutes, there could be serious cash problems for some schools. Moody’s specifically cited the Universities of British Columbia, Toronto, and McGill. This long read from Maclean’s provides a detailed overview of what has happened with China and Canada since Meng’s arrest. • Diplomatic tensions over Huawei threaten expanding B.C. trade with China (Vancouver Sun, January 29): B.C. does the most trading with China of all the provinces – this article looks at what could happen to its expanding trade there. • Opinion: Confucius Institute enriches participants in both China and Canada (Edmonton Journal, February 2): a resident of Edmonton writes about how Chinese government-funded Confucius Institutes is beneficial for participants (in response to an op-ed that argues otherwise). In the Hill Times, our Director of Trade & Investment Carlo Dade discusses how Canada will be able to emerge battered but intact from the feud with China intact – by looking to how Canadian officials deal with managing U.S. attempts to enforce its economic embargo measures on Cuba on Canadian companies. Key takeaway is that there is no outcome for Canada that does not anger both China and the United States. • Comments from various U.S. government officials and experts about the outlook for U.S.-China talks have alternated between gloomy and optimistic. Last week, the American National Economic Council Director Larry Kudlow said that the U.S. and China are still a “sizeable distance” apart in their trade talks, sending stocks and spirits tumbling. • On a positive note, Canadian lumber companies have been shipping more lumber to China, because of Chinese tariffs on American lumber. • This piece looks at money laundering in China – and how it impacts countries like Canada. • This op-ed in the Ottawa Citizen lays out a path for a better relationship with China, based three elements of Chinese government behaviour: distraction, projection, and respect. 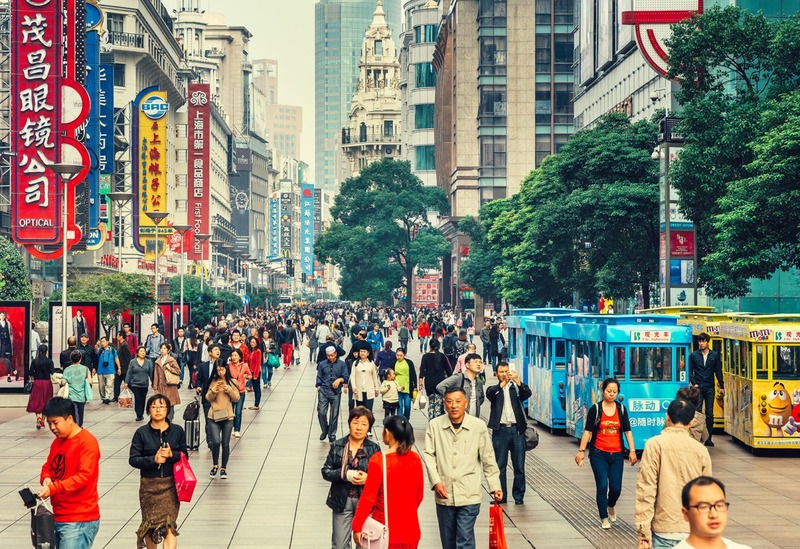 • There have been reports that the agribusiness sector in China is in “deep financial trouble,” as companies face rising debt and a shrinking labour force (as people move to cities). • Chinese investment in Canada dropped nearly in half from 2017 to 2018. 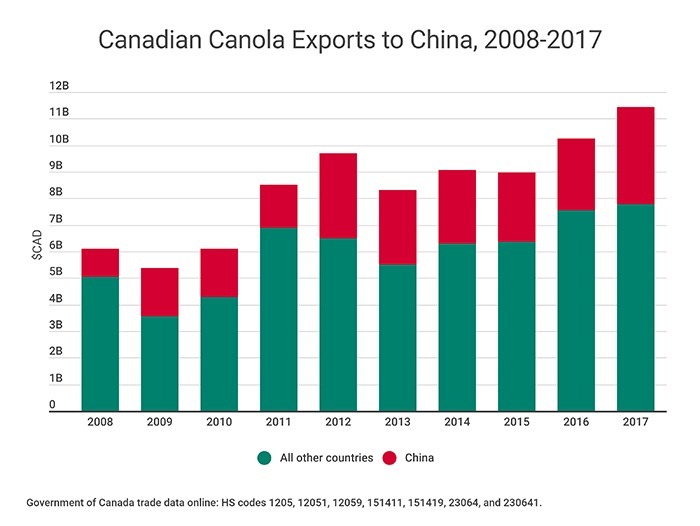 This is serious for the Canadian energy sector, where the diplomatic tension combined with poorly performing Chinese investments has dropped Chinese investment in Canadian oil by 84 per cent from 2017 to 2018.